Although the Medieval Muster roll resource has been around for about 5 years it is worth visiting again. Early surname data is hard to access and so this resource is an extremely useful collection of early surnames. Why useful to family historians? Well if you are lucky enough to find your surname or variation, then it will give you possibly one of the earliest dates you will find of the incidence of your surname in England. If you are lucky then you might also be able to peg it to a location or an event. The online muster roll database currently holds just under 94,962 service records, which is an enormous amount of early data. These are taken from muster rolls, housed in The National Archives (TNA), for the years 1369 – 1453. When you search on a surname it is important that you search on as many variations as you can. The search may reveal the rank of the person, under whose command he served and the nature of the activity. This must be of interest to all family historians but particularly if you are involved in a one name study. A more in depth study of who the soldiers were serving has certainly added some colourful detail to our own one name pursuits. 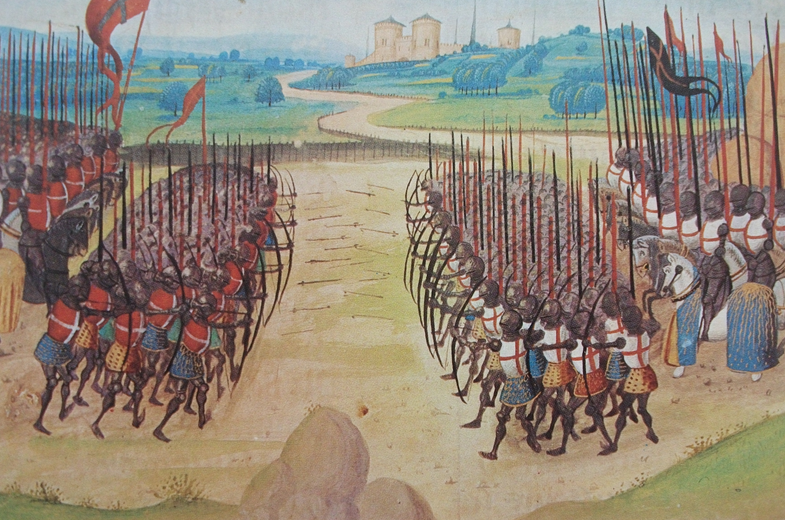 Maybe one of your ancestors was at the Battle of Agincourt?